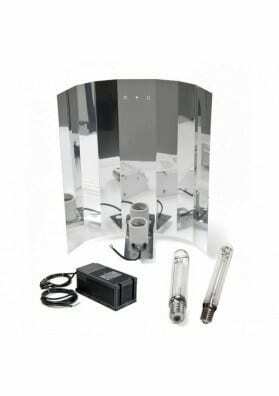 The Cooltube Grow Kit includes a Cooltube-type reflector to cool down the bulb, a wiring, a plug and a Philips growing lamp. 400W or 600W of power. - VDL Box Plug & Play (Ballast), ambivalent, 400W or 600W. - Philips Son T Agro 400.